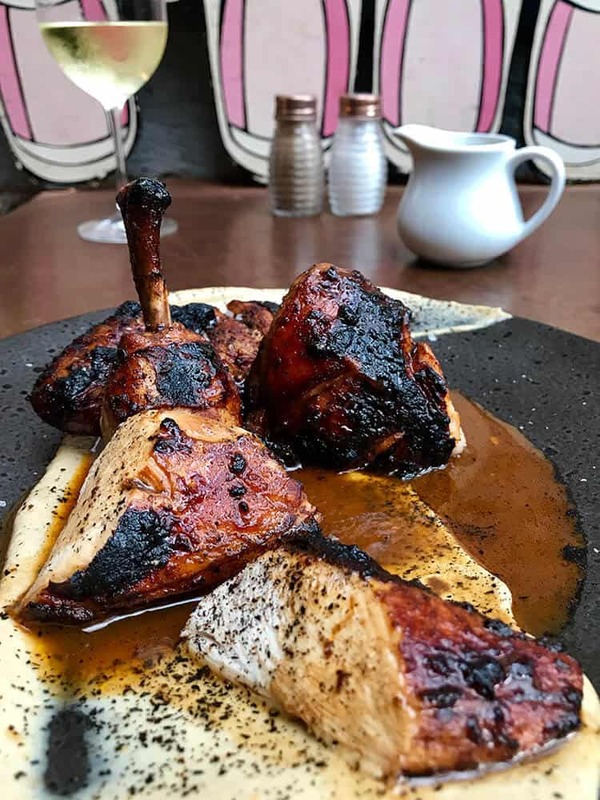 Block is a brand-new bar situated in Brighton’s lively Kemptown, focusing on quality drinks and a locally sourced menu based around Brighton’s first Bertha oven, created in England with influence from Northern Spain. We also have a lovely south-facing garden which doubles up as a sun trap in the summer and is completely covered and heated by a bespoke gazebo in the winter. We offer a range of different areas that are available to hire: the beds in the garden can hold up to 10-12 people, the cabana can hold up to 60 people; if you would like to enquire about hiring the whole garden for a private function we are able to negotiate (must include a bar tab spend). We are now Taking bookings for Christmas parties, please call 07955 813988 to book and discuss all your requirements. We offer pitchers of cocktails for a discounted price. These include £13 for Pimms and £15 for English Garden Fizz (gin,elderflower, soda, cloudy pressed apple, mint, cucumber). These would need to be ordered at a minimum of three. We can also offer discounted Prosecco prices at £18 with a minimum order of 6.
with picked fennel and shallot en croute. with fresh creamed horseradish parcels. marinated in lemon and parsley with leek ash and caramelised crushed cashews on baby gem. with kale pesto and torched artisan breads. with a choice of meats. with membrillo, house pickles and toasted artisian breads.